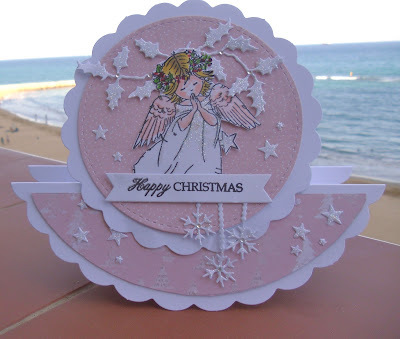 Such a gorgeous card Sylvie, I love the pink theme too, very pretty and ethereal fro this lovely cute card. This is really lovely. I love fairies. Such a pretty card Sylvie, a beautiful image and lovely pastel pinks - a fabulous circular design. This card creaky meets the challenge. Lovely angel as well.